Lightweight, compact diagnostic instruments deliver high performance in a slightly smaller package. 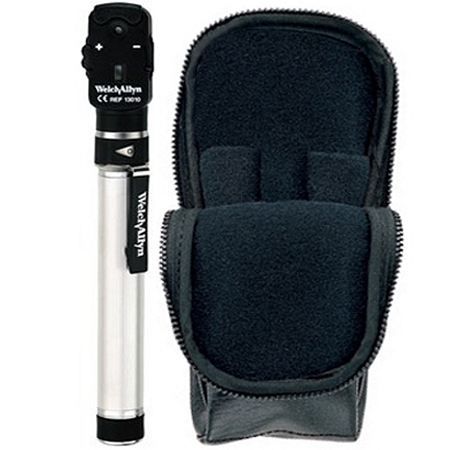 2.5V PocketScope handle has a smooth rheostat to control light intensity and features a handy pocket clip. Halogen light for true tissue color and consistent, long-lasting illumination. 12 aperture/filter combinations for greater versatility: micro, small, and large spot sizes, cobalt blue filter for corneal exams, fixation target, and slit aperture, plus red-free filter and unfiltered halogen. 48 focusing lenses for better resolution.